If you are tired of looking at that old eyesore in your driveway or yard and want fast cash, regardless of the condition, we can help. We've bought ugly old cars that don't even run in suburbs like Irving, Frisco, Allen, McKinney, Garland, Richardson, Plano, Mesquite, Rockwall, Rowlett, Parker, Prosper, Little Elm, Carrollton, Lewisville, Hurst, Euless, Bedford, Flower Mound, Grapevine, Coppell and more. How it works: Give us a call and we can give you advice on what price we can offer. 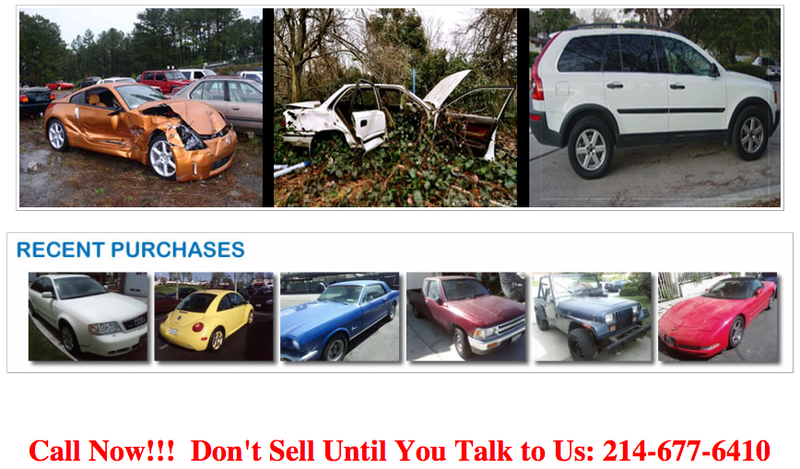 We try to pay the most cash possible and make it worth your while to remove even the ugliest cars. You'd be surprised what a junker can bring you in terms of cash! Is your car on this ugly car list? That's okay - we still want it!